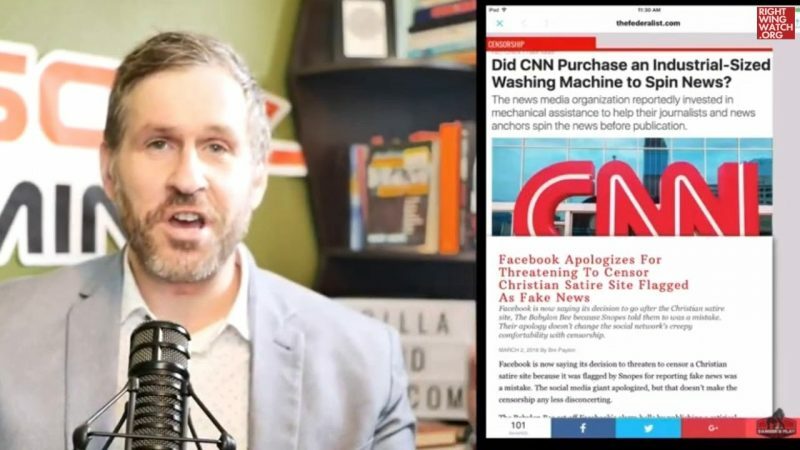 Mike Cernovich, a pro-Trump social media personality and self-declared leader of a movement he calls the “New Right,” claimed that nobody knows his true political beliefs and that the only thing he believes in is the “Gorilla Mindset,” the mentality behind his his self-help book and lifestyle brand. During a live streamed video yesterday, Cernovich addressed criticism he received from his fans for sharing Twitter posts from Louis Farrakhan, the Nation of Islam leader who has faced widespread condemnation for his anti-Semitic and homophobic comments. Cernovich told his fans that they should not interpret him sharing Farrakhan’s posts as an endorsement, but rather to view him like a talk show host sharing Farrakhan’s posts because Farrakhan is a public figure in the news. “I’ve always said that I’m a talk show host. This is what got me into a lot of trouble over the years and why I don’t do it as much. Many times, I would just throw out provocative ideas—not mine, just, ‘This is what the world is talking about.’ And then people would disingenuously claim that they were my ideas,” Cernovich said. He continued to explain why he had retweeted posts from Farrakhan and said that no one knows what he believes politically. “I believe in the power—liberal, conservative, Christian, Jew, Catholic, Muslim, atheist, agnostic—I believe in the power to change your life and I believe that if you adopt a positive mindset that politics is going to flow from that,” Cernovich said.